Whether you’re disposing of residential, commercial or construction waste, you will find hiring skip bins useful. There are many benefits you can enjoy especially when you turn to A’n’K Budget Bins for skip bins in Perth and surrounding areas. In this article, we’ve listed down the benefits of skip bins in the industrial setting. You will also see how you can use our bins for your residential waste. Keep reading to get helpful insights on managing rubbish. Whatever industry you’re coming from, you can benefit from hiring skip bins from A’n’K Budget Bins. Here are some of the things you can enjoy when you hire skip bins for waste disposal. When you work in the construction business, you have to deal with piles and piles of waste. If you do not properly get rid of the rubbish, it may cause accidents and injuries to the workers. You can avoid this by disposing of your waste in our skip bins. Once your project’s done, just give us a call to schedule a pickup. As part of your company’s corporate responsibility, you have to find ways to reduce your carbon footprint. Our skip bins are the environmentally sustainable option for discarding rubbish. We offer a wide range of skip bin sizes so that you can enjoy a clean and green option for waste disposal. Just fill up the bins and our team will collect them and then move the waste to a sorting facility. There, the rubbish will be sorted and salvaged for redistribution or reuse. Hire our skip bins so that you can remove the clutter and free up space. Just give A’n’K Budget Bins a call and we will help you determine the right skip bin size for the amount of waste you want to discard. If you want to avoid travelling to the rubbish pit, hire a skip bin from A’n’K Budget Bins. You can also avoid sorting the waste yourself because our team will efficiently handle that task. It goes without saying that you can save time and energy and dedicate them to other important tasks. All you have to do is fill up the skip bins and we will take care of the rest. Hiring skip bins is one of the most convenient ways to get rid of your waste. The skip bins will be delivered right at your doorstep exactly when you need them. Once you’ve filled up the bins, just give us a call and schedule a pick up. A skip bin can also be used to move waste out of the house. A’n’K Budget Bins offers skip bins in various sizes so you can find the one suitable for the amount of rubbish you expect to take out. 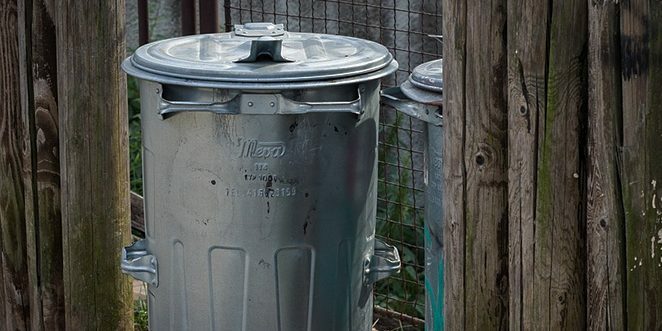 Below is a helpful guide that will let you know how you can use skip bins for residential waste. A house renovation is both an exciting and tiring experience for homeowners. You have to tear down the old kitchen, get rid of your worn out carpets and throw out the old furniture. Doing the aforementioned produces a considerable amount of rubbish which has to be efficiently dealt with. This is where A’n’K Budget Bins comes in. We will provide you with a skip bin that is large enough to store your waste and sturdy enough to carry heavy materials such as discarded wood and metals. Larger skip bins are used in major home renovations so remember to keep the access clear. During spring cleaning, we tend to collect a considerable amount of waste. When we clear the attic, we even find lots of unwanted items such as toys, old televisions and clothes. You can hire a skip bin from A’n’K Budget Bins so you can properly sort which items should be thrown away and which can be sold at a garage sale. A lot of Australians periodically hire skip bins to get rid of rubbish from spring cleaning or renovations. This is definitely one of the many domestic uses of skip bins. However, you can also hire our bins to get rid of unwanted items when you’re moving to a different home. Moving houses can be tiresome and stressful. Of course, you have to sort your items and determine which you can keep and which you should throw out. Undoubtedly, you will end up with lots of waste which you wouldn’t want to take to your new home. Here at A’n’K Budget Bins, we make waste disposal a lot easier for you. We have a collection of skip bins that are suitable for projects like this. You will definitely cut down your moving costs because you are reducing the amount of items you’re bringing to your new home. People who want to reduce their waste and carbon footprint can also use skip bins. They can collect recyclable items like paper, glass and plastic and then store them in our weather-proof skip bins. Once you’ve filled up the bins, just give us a call and we will pick them up on your scheduled date. We will take the bins to a sorting facility where the items will be salvaged for redistribution or recycling. As you can see, you can hire skip bins for a number of reasons. If you need to get rid of a considerable amount of rubbish, just give us a call. We will be glad to help you decide which skip bin size is perfect for you. You can also refer to the infographics below to know which skip bin is ideal for your needs.